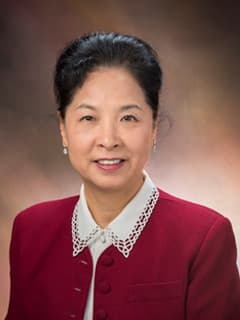 Marilyn M. Li, MD, and researchers at the Center for Childhood Cancer Research are working on initiatives to improve cancer diagnostics using genetic tests. By using NGS, panels of genes of interest, whole exome, whole genome, or whole transcriptome can be sequenced simultaneously to identify known or unknown mutations in the tumor tissue from patients. This information contributes to the strength of diagnoses. These mutations may also serve as prognostic markers, or identify avenues for possible therapeutic intervention. Researchers have developed four different gene panels: one for hereditary cancer or cancer predisposition, a second for hematological malignancies, a third for solid tumors, and a fourth for novel fusion genes. These panels are currently being used in clinical settings to aid cancer diagnosis, prognosis and treatment. Ongoing research for future panels is also underway with the eventual goal of providing an extensive menu of diagnostic options to suit the growing needs of patient care. NGS technology has proved to be invaluable for the emerging technology of cell-free DNA sampling, also known as liquid biopsy, which has the potential to replace invasive biopsy methods, to detect early relapse, and even screen for cancer at an extremely early stage. However, cell-free DNA samples are not as rich in cancer genomic material as tumor biopsy samples, and highly sensitive methods such as NGS are required for successful mutation detection.